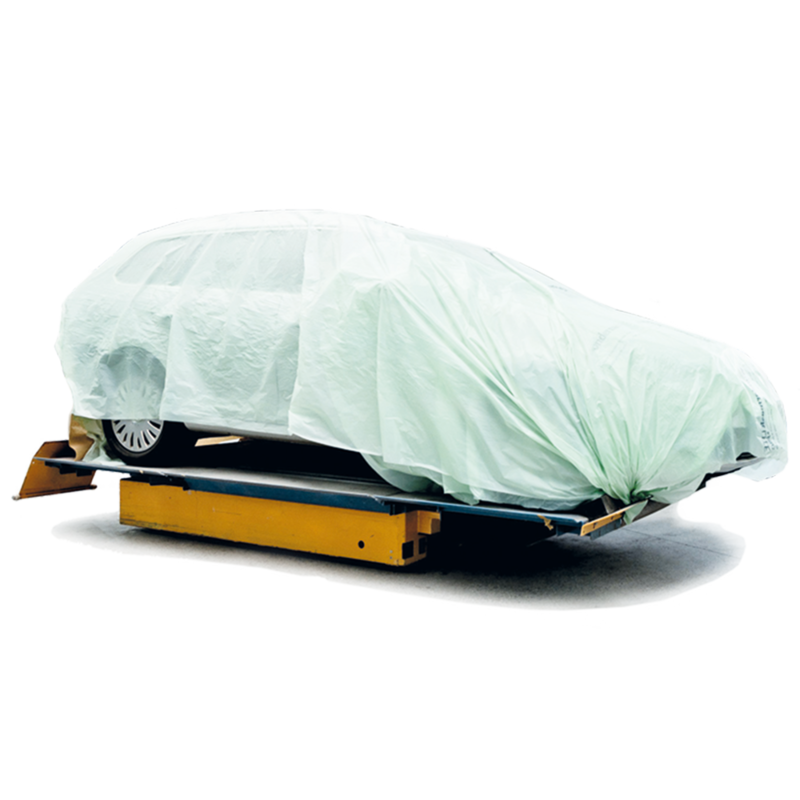 The vehicles are on lifts from the moment the work is started right through to the final inspections and can safely and quickly be moved to subsequent workstations. 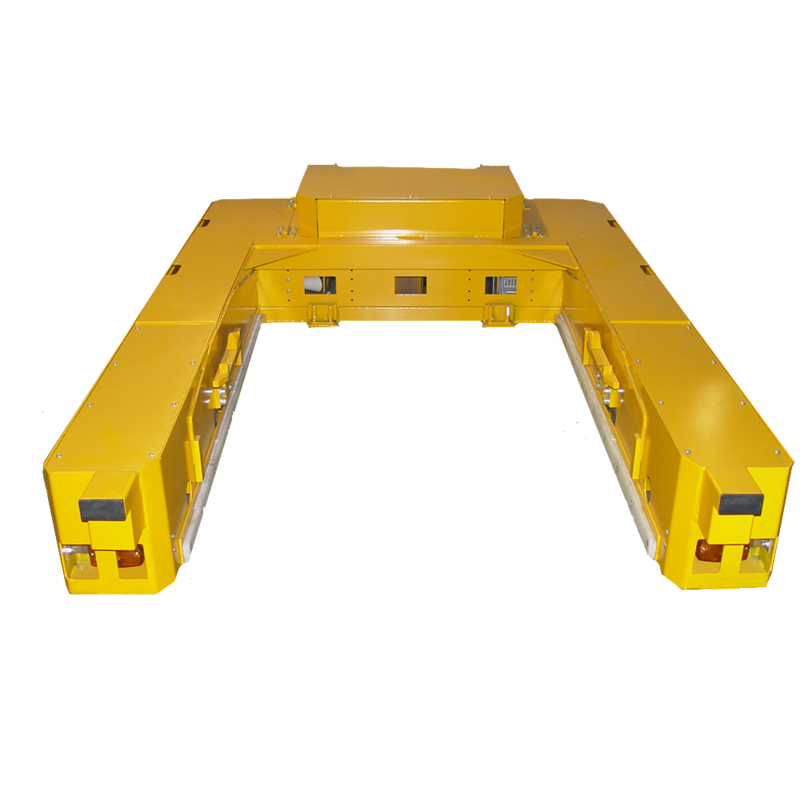 The transportation system consists of the remote controlled automotive transmobile, and a Herkules by Hedson lift. It can be used in any shop with a level surface, even in the spray booth with grid floor. 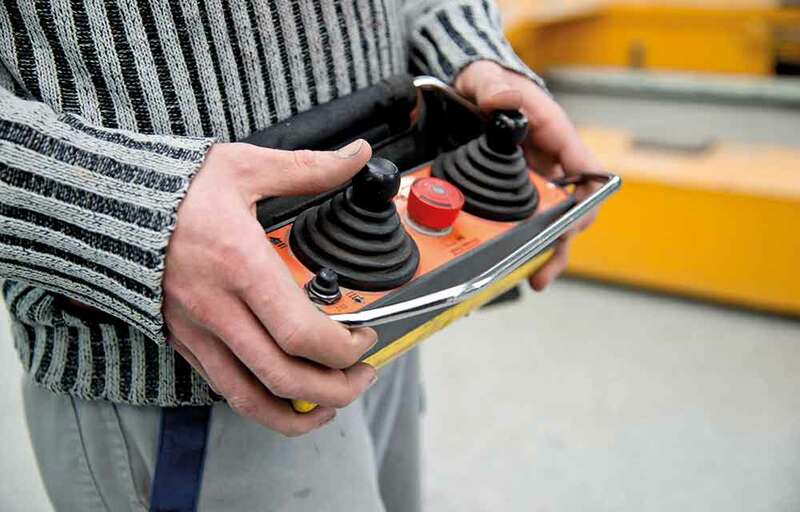 Optimise the workflow in the workshop. Transport the vehicle without turning the engine on. 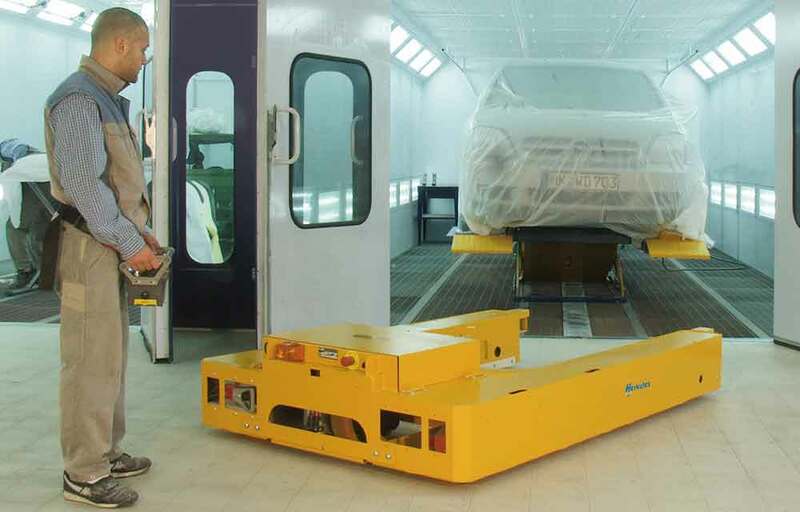 Herkules Transmobile by Hedson is the revolutionary system for modern workshops. 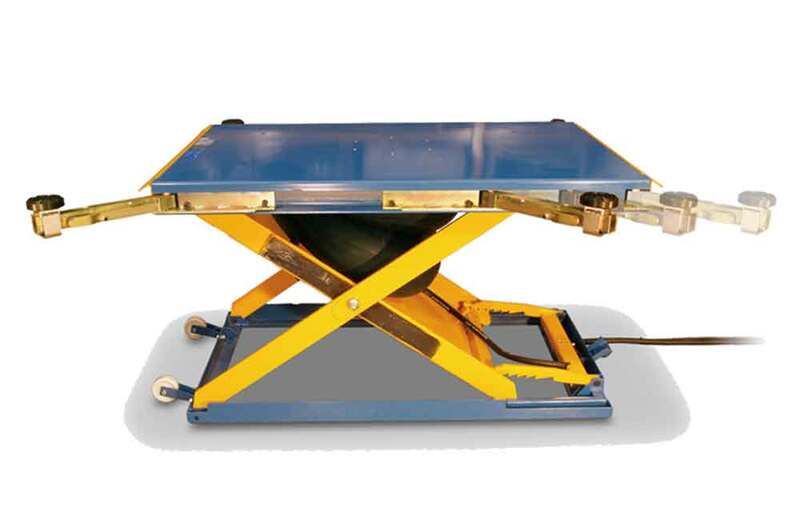 It creates new working capacity due to a safer and quicker work routine and drastically reduces the work involved in vehicle transportation around the workshop. 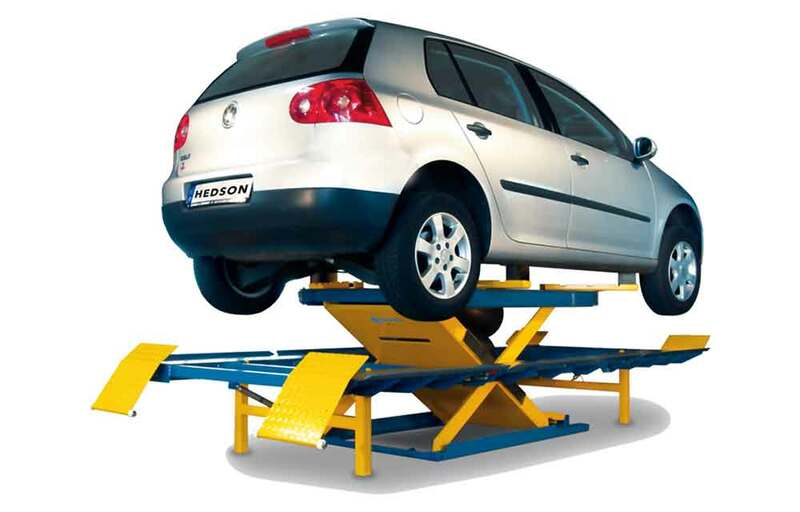 The vehicles are on lifts from the moment the work is started right through to the final inspections and can safely and quickly be moved to subsequent workstations. 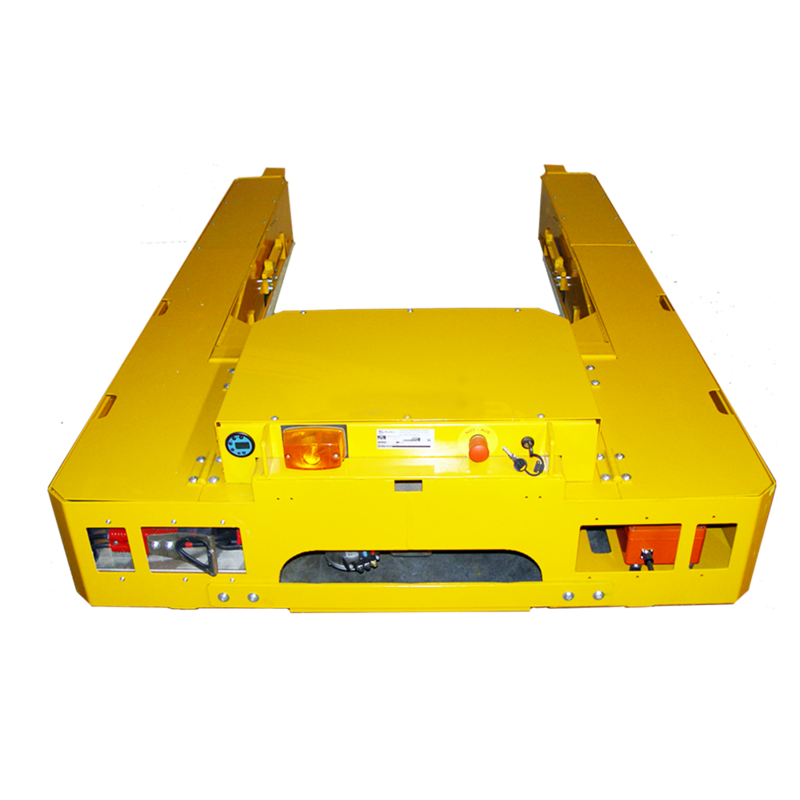 The transportation system consists of the remote controlled automotive transmobile, and a Herkules by Hedson lift. It can be used in any shop with a level surface, even in the spray booth with grid floor.